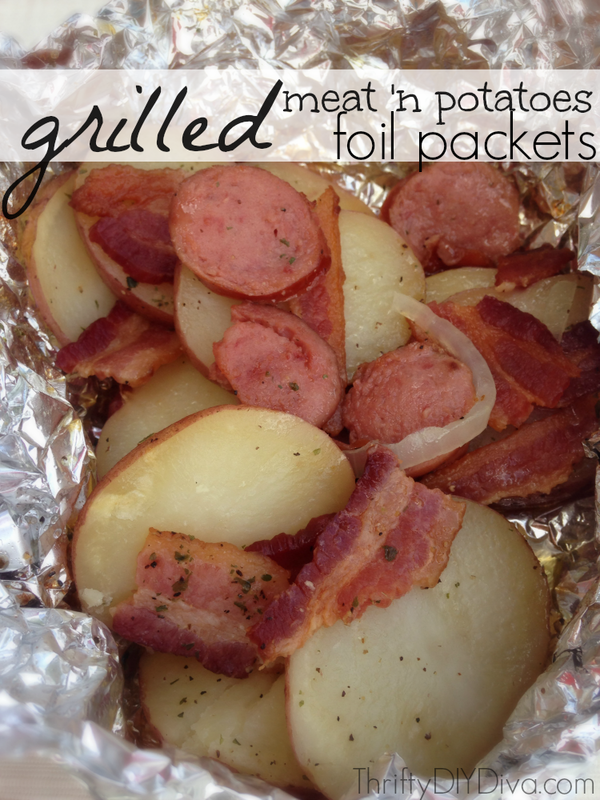 These Grilled Meat ‘n Potatoes Foil Packets (ranch, onions, bacon, & sausage) will be your new favorite camping recipe! These Grilled Meat 'n Potatoes Foil Packets (ranch, onions, bacon, & sausage) will be your new favorite camping recipe! Roll out 4 sheet of foil and spray with cooking oil or rub down lightly with shortening. 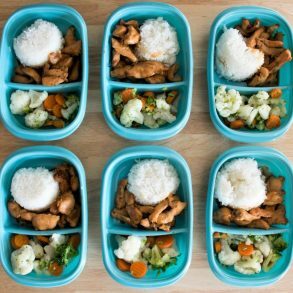 Place a handful of the potatoes on each sheet, sprinkle with salt and pepper, and then sprinkle with about a teaspoon of ranch mix. Top with butter, onions, bacon, and sausage. Wrap each foil packet tightly and grill for 30 minutes. Enjoy!